This is a sequel to the 1978 movie that breezily ignores all the other sequels and reboots that took place in the meantime. It is a skilled sequel that manages to bring back some of the original's mystery and tension while updating some things for modern viewers. That was good. What was bad was that this was also a pretty heavy handed wannabe feminist interpretation (albeit one written by men) in which most of the female characters are competent and serious while almost all of the male characters are incompetent, stupid, clueless, sexually confused, corrupt or of course, murderous. YMMV with this. I just didn't think it was necessary. It was over the top in my opinion. Additionally how many people leave their doors unlocked or blinds open at night in our current environment? There's too much information out there about crime now for that to be a routine occurrence, or so I thought. But that might just be the normal horror movie convention. After all you can't have someone who gets slaughtered unless they do something stupid in the first place. 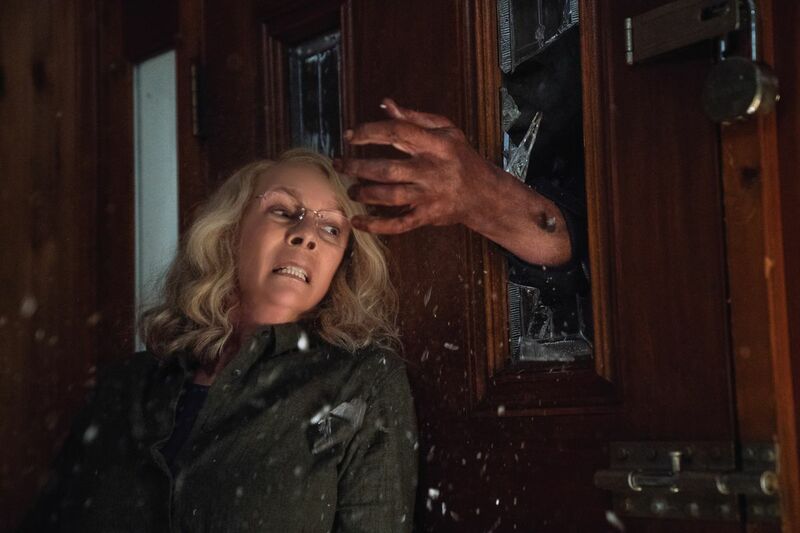 It's been forty years since Laurie Strode (Jaimie Lee Curtis) survived the massacre committed by Michael Myers (James Jude Courtney/Nick Castle). Laurie is AARP eligible but she's not ready to settle down and kick back. Laurie still suffers from PTSD and survivor's guilt. She's paranoid, likes to drink, and is something of a gun-nut survivalist. 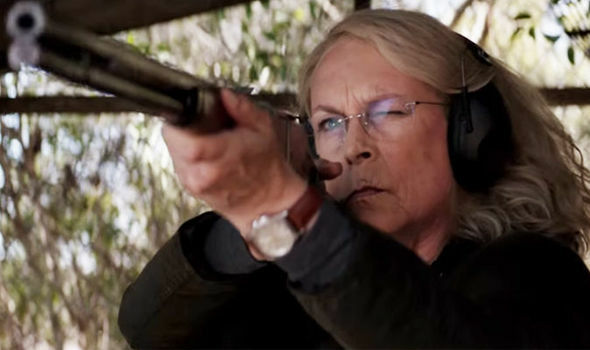 Laurie lives in a home with impressive security and spends a lot of free time shooting targets. Laurie is obsessed over Michael; she hopes to kill him one day. Twice divorced, Laurie is estranged from her adult daughter Karen (Judy Greer). Laurie tried to raise Karen as a survivalist and lost custody of Karen as a child. Now Karen has a daughter of her own, Allyson (Andi Matichak) and a not too bright but pleasant husband Ray (Toby Huss). Karen would just as soon that Laurie keep away from her family. Allyson though is intrigued by her unconventional grandmother. True crime English podcasters/bloggers Aaron and Dana travel to America to interview Michael to try to get some insight into his crimes. But Michael won't talk. Michael's current psychiatrist (Haluk Bilginer) is upset that Michael is due to be transferred to a harsher facility where he will lose access to the killer. Halloween is approaching. However during the transfer something goes wrong. And Michael is loose. And wouldn't you know he has some unfinished business to complete. But Laurie thinks she's ready for him. And she's not going to let either the empty suit sheriff (Omar Dorsey) or his protective deputy (Will Patton) get in the way of what she knows she has to do. 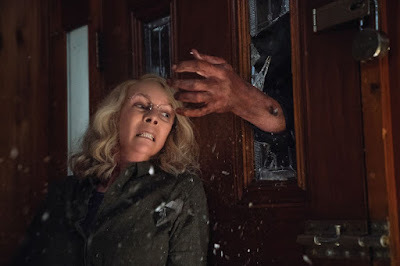 All in all this was an entertaining if occasionally hamfisted film that will provide all the thrills and scares that one associates with Halloween. It's left up to the viewer to decide if Michael Myers is simply a completely evil man or whether there is something supernatural about him. I liked that. Although this movie is not as violent as some installments in the series it's probably not suitable for anyone with sensitivity to relentless realistic carnage.